Maurizio Sarri’s era at Chelsea was given the perfect start his afternoon, as World Cup winner N’Golo Kante gave the Blues the lead against Huddersfield in the Italian’s first Premier League match in charge. 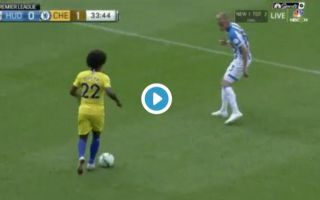 The Frenchman, who was key in France’s World Cup victory in Russia this summer, latched onto the end of a Willian cross from the left to volley the away side into the lead. Chelsea fans will be delighted with this goal, as some may have been a bit wary about their side’s chances today following their poor display against Man City in the Community Shield. Here’s a clip of Kante’s fine finish against the Terriers. What would they do without him!